FACT CHECK: Was Cesar Sayoc a Lifelong Democrat Who “Recently” Covered His Van in Trump Stickers? Was Cesar Sayoc a Lifelong Democrat Who “Recently” Covered His Van in Trump Stickers? The mail bombing suspect had never been a registered Democrat, and his van had been home to pro-Trump material for years. 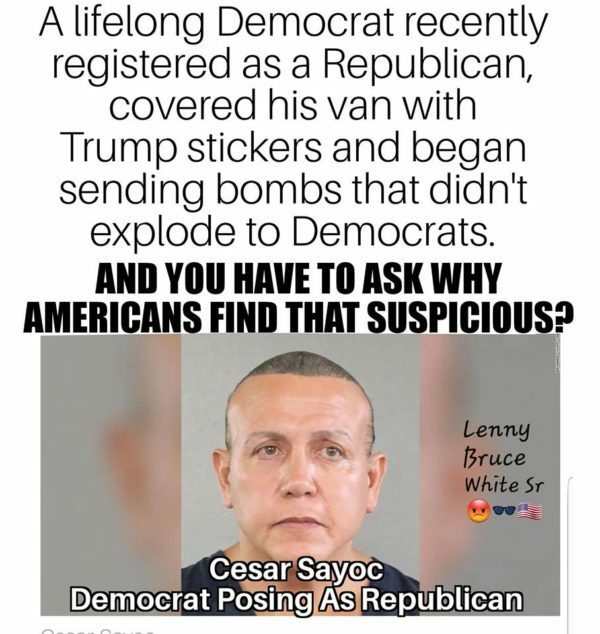 Cesar Sayoc was a lifelong Democrat who “recently” plastered his van with pro-Trump stickers before sending bombs to Democrats and media figures. Following the arrest of Cesar Sayoc on charges that he sent mail bombs to prominent Democrats and anti-Trump media figures, the pro-Trump conspiracy contingent attempted to paint the suspect as a Democrat who posed as a Republican — innuendo suggesting that Sayoc’s true goals were to inflict political damage on President Donald Trump and his agenda. No evidence documents that Sayoc was a “lifelong Democrat” — all signs point to his being relatively apolitical until 2015, although it appeared he attempted to register as a Republican twice in October 2012. And Sayoc’s van had sported pro-Trump stickers since at least 2017, and it had contained pro-Trump material since at least 2015. Records from the Miami-Dade County Elections Department show that on two occasions in October 2012 — Oct. 9 and Oct. 26 — Sayoc initiated, but didn’t complete, new voter registration applications. Both times, he checked the box next to “Republican Party” as his party affiliation. On Oct. 26, 2012, he didn’t check any of the boxes indicating the reason behind his registration application (i.e. 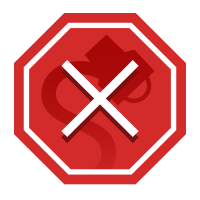 new registration, address change, name change, party change, etc.) Near the top of that form, someone scribbled, “INCOMP,” indicating it was incomplete. Daniel Lurvey represented Sayoc against theft charges in 2013 and 2014, and he told the Washington Examiner that he could not recall Sayoc’s ever discussing politics. Instead, it appears that Sayoc’s chief interests during this time were bodybuilding and wrestling. On Twitter and Facebook, he railed against former President Barack Obama and Oprah Winfrey with misspelled racial epithets, threatened former Vice President Joseph R. Biden Jr. and praised President Trump and conservative causes. His social-media feeds were an electronic version of the white van carted away by law-enforcement officials on Friday morning, which was covered in stickers praising Mr. Trump, condemning liberals and putting cross hairs over an image of Hillary Clinton. Cypkin encountered the van regularly when he lived near the Shoppes at the Waterways in Aventura, where it was regularly parked. Cypkin believed someone could be living in the van, and finally, on the morning of New Year’s Eve 2017, he snapped a few quick pictures so he could get a better look at some of the stickers later. “I had seen it there at least a year,” Cypkin said. Assertions that Cesar Sayoc had lifelong Democratic political leanings or that his van was covered in stickers only immediately before his mail-bombing attempts do not hold up to any level of scrutiny. Washington Examiner. 26 October 2018. Sun Sentinel. 26 October 2018.